North Korea is reportedly willing to engage in talks with South Korea and the US. The message was apparently conveyed after a high-level North Korean official met with the South Korean President, Moon Jae-In, who had previously campaigned on a promise to revive the so-called “Sunshine Policy” of some of his predecessors in actively seeking a rapprochement with Pyongyang. The course of developments in the 9 months since his election, especially regarding US actions towards North Korea and its preplanned calculated responses to it, made it almost impossible to advance this idea, but the recently concluded Pyeongchang Winter Olympics proved to be the perfect opportunity for breathing new life into this stalemated but nevertheless promising vision. China and Russia previously proposed what they called the “Double Freeze” whereby the US and South Korea would indefinitely halt their joint military drills with one another in exchange for North Korea doing the same with its missile and nuclear tests. Washington took the first step in announcing the postponement of its planned exercises with Seoul, which created an amicable atmosphere for Pyongyang to do its part in making the Olympic Games a diplomatic success for everyone and infusing fresh optimism into the “Double Freeze” proposal. 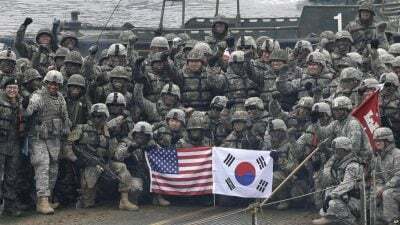 As could have been expected, however, the US recently said that it would be resuming its military games with South Korea and even deploying attack drones to the peninsula, which drew sharp condemnation from North Korea who accused America of endangering the incipient peace process. Even so, this hasn’t yet resulted in any characteristically ostentatious moves from Pyongyang, which can be interpreted in one of two ways. 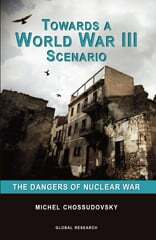 The first is how Trump and his team are likely perceiving this, which is that North Korea is indicating its receptivity to talks from a position of weakness, especially after the US’ new sanctions against the country. The second, though, is more probable, and it’s that North Korea doesn’t want to be seen as being the first one to break the “Double Freeze” , especially since it’s betting that its recent “charm offensive” during the Olympics was enough to convince President Moon of Kim Jong-Un’s sincerity in holding talks with him. Basically, the North Koreans are trying to deepen the divide between the US and their military allies in South Korea in an attempt to embolden Seoul to flex its independence are proactively take the initiative to further the positive gains achieved during the “Olympic Peace” and “Double Freeze”. Pyongyang has gone to great lengths to “humble itself” before the eyes of the world in presenting its peaceful intentions, which it’s hoping was successful in creating space for President Moon to once more try his hand at reviving the “Sunshine Policy”. Kim will try to encourage him, Trump will try to deter him, but what everything essentially comes down to is which of the two ultimately comes out on top in this tug-of-war over President Moon.